The Wolfgang Puck WPRGG0010 electric grill and griddle: For years, celebrity chef Wolfgang Puck has entertained the Hollywood elite at his Beverly Hills restaurant, Spago. His skill in the kitchen and passion for quality have earned him a reputation that’s unparalleled in his field. Now, he brings that same level of excellence to his own line of professional-quality cookware. Puck’s renowned attention to detail is evident in the smart design and durable construction of his kitchenware, making it the perfect choice for today’s serious cook. 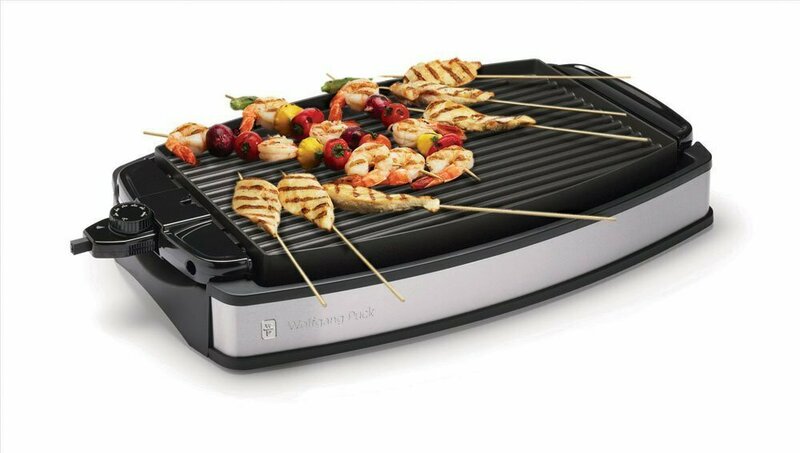 If you share Puck’s passion for good food and great cookware, this amazing combination Grill/Griddle is for you.